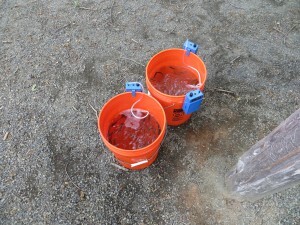 Trout arrive on Release Day in a bucket with students from all different classes. These trout are soon to be released into a health New Jersey stream. Each year, the Ocean County Soil Conservation District, in partnership with Trout Unlimited and the New Jersey Division of Fish and Wildlife collaborate to provide unique learning resources to students throughout New Jersey through the program Trout in the Classroom. The main objective of this program is to provide schools with the tools necessary for raising trout from fry in their classroom, while providing the materials to enhance a curriculum to supplement the growth of the fish. Every spring, the trout are released into a healthy New Jersey stream. The Ocean County Soil Conservation District is happy to sponsor four tanks in Ocean County schools each year at Stafford Intermediate School, Berkeley Elementary School, New Egypt High School and Lakewood High School. Students who have a tank in their classroom have the unique hands-on opportunity to raise fish from eggs, maintain water quality, learn more about stream habitats, and gain a batter understanding of ecosystems while fostering a stronger conservation ethic and appreciation for natural resources. Trout are released into the headwaters of the Toms River at the Forest Resource Education Center in Jackson, NJ. 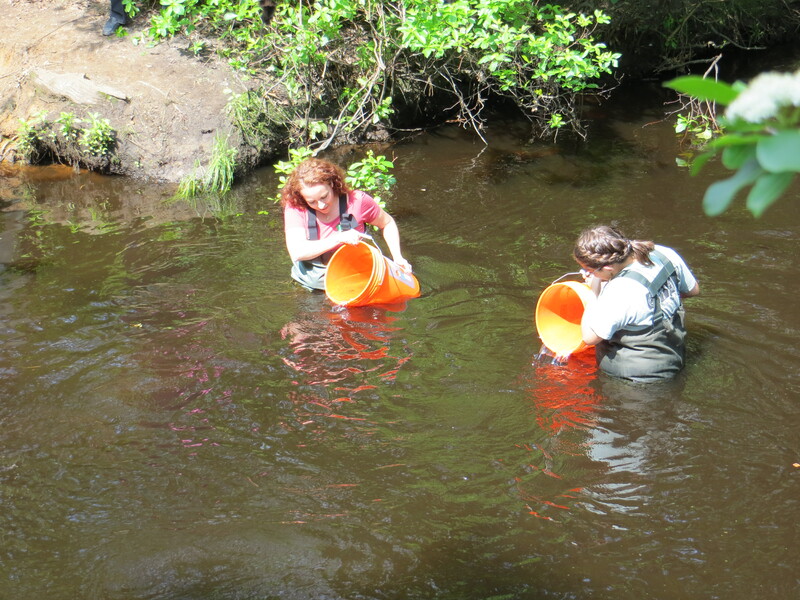 For more information on how to register your classroom to be a part of the Trout in the Classroom Program, or to find out more information about the New Jersey Division of Trout in the Classroom, please click here.